This product is specially formulated to set in approximately 10-15 minutes. 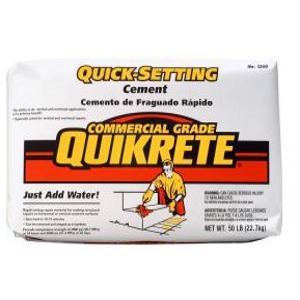 It can be molded or sculpted into place and can be used for making concrete repairs where rapid setting is required. It is ideal for repairing broken edges of concrete steps and curbs.